Truck Legends is an interesting driving game developed by StuddGames. This game has unique 3D graphics, suitable for all ages, especially children and families. You can experience this game on your browser because it is a flash game. Before starting the game, you can name your truck. Then, you can customize the radius and length of the front wheel and rear wheel. 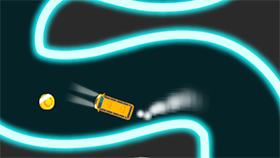 Your task in Truck Legends is to overcome the obstacles on the way and run towards the destination safely. This game has many levels, each level is a challenge for you. In each level, you will face complex terrain. You have to run through the hills, you have to fly over huge rocks, you have to dodge lava ... If you hit fire, lava or the truck is overturned, it will explode. This game has many different trucks. However, you need to complete some missions to unlock new trucks. This game has 2 modes for you: Single Mode and MultiPlayer. Good luck and have fun!